“Just wanted to share my experience in this salon today, LOVE IT, and also in love with my hair, Kate Roy did an amazing job. She did was i asked fer to do and I fell in love with it. Thank you so much for putting a smile on my face and making me feel beautiful with my new hair.” – Luciene V.
“Caitlyn Wakefield was amazing. Very down to earth girl. I’ve honestly never been happier with the way my hair came out! Thanks again! 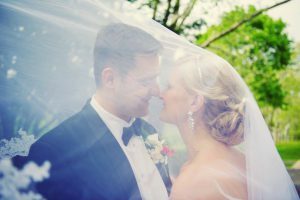 !” – Bennett S.
“After two disastrous bridal trail elsewhere, I was so grateful your front desk was able to fit me in to see Stefanie very quickly for a third attempt. She really listened to what I had to say and created an updo even more beautiful than I envisioned! She was very kind and helpful, and even though I’ll be in Italy for my actual wedding, she said the stylists over there can contact her if they have any questions. Thank you Sculptures for a wonderful first visit.” – Sacha P.
“I was referred here by a friend and I am so glad I was. I finally, after all these years, found a hairdresser and salon for me. Great atmosphere. Everyone was friendly, helpful and professional. Caitlyn W. was my hairdresser, loved her. Can’t wait to go back. Perfect color and cut. Totally would recommend to anyone looking for a quality color and cut.” -Michelle J. “I had a great experience getting my hair and makeup done by Tracy for my engagement photos. She asked for my input and really listened to what I wanted. She was so sweet and I looked and felt wonderful for my photos!” – Ashley T.
“This was such a great experience! The salon was beautiful and peaceful. Kristin O. was fantastic! She really paid attention to my requests and cut my hair exactly as I wanted it! I can’t wait to come back for my next haircut!” – Alexis N.
“I was immediately impressed by the overall appearance and atmosphere of this salon. The receptionists were very pleasant. My stylist, Kristin, was friendly as well. She did a great job with my hair, and I am very happy with the way my cut turned out. Thank you, thank you, thank you!” – Melissa K.
“We had a wonderful experience at Sculptures. I came in with some hair issues and was immediately put at ease and helped by Sharon, she was wonderful. I recently brought my two daughters in for a cut and blowout and they loved it. We have really enjoyed coming to Sculptures and will be returning!” – Olivia M.
“This salon is aesthetically gorgeous and very welcoming. The staff was kind, polite and extremely knowledgeable. Jessica did an amazing job on my hair. I walked out feeling beautiful.” – Amy L.
“It was a very comfortable salon with very friendly employees!” – Beth D.
“Wow! Since my hairdresser changed careers 13 years ago I’ve been to many different salons in seacrch of my new “go to”. I finally think I found it here. Michelle did my color and cut and I am still checking myself out every time I go by a mirror. Everyone in the place was wonderful. Made me very comfortable like I was in the company of old friends. I also noticed constant cleaning going on which shows because the place was spotless. The wine was a great touch. Can’t wait for my next appointment. Thank you!” – Jennifer D.
“Stefanie was really nice and welcoming! She did a great job! Atmosphere was good in the salon also. ” – Josie M.
“Great service and great atmosphere.” – Alexandra S.
“Michelle was great! Took my vague idea and somehow read my mind and gave me exactly what I wanted. Awesome cut! Fun color! I’ll be back in seven weeks.” -Lori S.
“I had the best experience with Stefanie today. She was both professional and knowledgeable. During our consultation, she really listened to what I was looking for and gave honest feedback. She gained my trust immediately. By the end of the appointment, she made this working mom of two young children feel beautiful – something I haven’t felt in a long time. My first visit to this salon, generally, was amazing. All staff were welcoming and professional and I didn’t feel awkwardly pressured to buy product – but knew it was offered for purchase. I will definitely return to Sculptures in Newington for my next appointment!” – Christina N.
“Michelle was great! She was very friendly and did exactly as I asked – gave me a really nice cut and color. Salon is clean with a fun atmosphere. I will definitely return and ask for Michelle.” -Wendy G.
“I was in a jam due to my hair stylist being out of town for a good while and really needed my roots done! They were able to get me in that week and I had an amazing cut and color!” – Tori R.
“First time at Sculptures Salon in Newington. Great experience! Very relaxing and Iove my hair!” -Marianne M.
“Great haircut, just in time for my big birthday weekend. Thanks Kate!” – Cary B. “Lindsay was great! I’m very self conscious about my hair because it’s thinning and I have a lot of apprehension when going to a salon. I’ve had stylists in the past make me feel embarrassed and I’ve often left their salons disappointed with the results. Today however, was the first time I left pleased and didn’t try to fix or change what was done to my head. I already made a return appointment and am looking forward to having Lindsay as my stylist!” – Kathleen P.
“No fail, great haircut every time!” -Maya S.
“Marissa was awesome, made me feel very comfortable about taking length off my hair. It came out fantastic I am very happy with the entire experience I had today. Thank you.” – Sara P.
“Sharon was absolutely fantastic. I was hesitant about trying a shorter style but said what the heck. And she cut and colored my hair perfectly. Usually after I make a change, I’m sitting in the car looking in the mirror going “what were you thinking?” But not this time. I love the style. Then I got back to work and the compliments started along with “where did you go and who did your hair?” I am so please and of course am looking forward to my next appointment for highlights and lowlights. Professional, friendly staff and Sharon is a rock star.” -Debra J. “Excellent experience! Kristin was awesome!” -Anne L.
“Caitlyn and Sara are absolutely amazing! I came in for a trial hair and makeup for my sister’s wedding and I love both! So excited! Thank you for an excellent experience and for such friendly service! “- Melissa C.
“I came into the salon and didn’t know how to fix my highlights from the last salon I went to. Kristin did an excellent job! She gave her honest opinion and figured out the new look for me. I would recommend this Sculptures Salons any day! I will be back soon! I was surprised on how friendly the front people were to me. Thank you!” -Chau N.
“Kate was fantastic! Totally professional and took the time to listen and give ideas. I will definitely return!” – Sarah G.
“Your salon is beautiful and Sharon was great! She took the time to take a lot of bulk out of my thick hair which was needed and matched my roots perfectly! I also love my cut, I’ve been swishing my hair around for the last hour or so, lol :)” -Sam J. ” I am so pleased with the service I received today at Sculptures in Newington. Stefanie did a fine job and was very pleasant. It was a delightful afternoon and I am so fortunate to have an experienced hairdresser who is also very sweet. Thanks! !” -Chris V.
“The girls loved their first trip to a “real” salon! Service was great, and we love the cuts! Thank you!” – Veronica K.
“Regardless of whose chair I sit in (and I’ve sat in them all), I know that I will receive a quality experience and leave with beautiful hair. Sculptures has a great sense of both professionalism and warm customer service. It is clean, personable, and classy. When it comes to hair care, I have found you get what you pay for. I always leave Sculptures feeling that my money was well spent. Highly recommended, you won’t be disappointed.” -Alexandra F.
“Finally, I’ve found the best Hair salon ever. Thank you all, thank you Rick, great job!” – Katherine K.
“Great friendly salon even stylists that don’t know you say hello I have been going to Stefanie for quite a while now and just love her to pieces. My 15 yr old grandson now has his hair cut with her. And won’t go anywhere else Definitely an A plus salon” -Margaret B. “I went to Sculptures today for the first time and the staff is very professional as you walk in. Then if you wait a few minutes, they offer you something to drink. The person who worked on my hair was Leah Pina and I would recommend her extremely highly. She takes time to ask what you want done and explains the procedure to get the look you want. The cut and highlights came out beautiful and I was complimented in the Salon and at home. I will definitely be returning to see Leah again. Thank you for a great experience.” – Joyce G.
“I visited Sculptures Salons for the first time this week. It was a wonderful experience. Sharon was attentive and discussed various options with me. I look forward to working with her in the future.”- Marybeth S.
“This was my first time going to Sculptures and working with Tracey. Since moving to Connecticut 3 years ago, it has been hard to find a stylist that I would go back to. Today, Tracey changed that! I am very satisfied with my haircut. I appreciated Tracey’s consultation prior to the haircut. She took my concerns and wants into consideration as well as her expertise! I definitely recommend her!” -Amy L.
“Julie (Sculptures Salon Plainville Location) did an amazing job on hair for my wedding — for myself, my mom, and many of my bridesmaids. She came over super early and was professional –dressed for the job and fully equipped, ready to prep my party for the day! She hustled like no other and made every girl feel beautiful — and the bride’s hair was extra special. She took in the feedback I had from my trial and created a masterpiece. 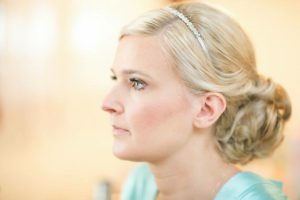 She made sure everyone felt confident in their hair — and was also super fun and easy to talk to throughout my whole hair trial process. I highly recommend to any brides in the CT area!” – Diana R.
“This was the most wonderful experience I ever had with a salon. Marissa was excellent. I came here by referral and wanted to go to a nice salon. I planned on doing purple in my hair so I was anxious. The whole experience was wonderful from start to finish. The salon was beautiful and everyone was so professional. It was beautiful, comfortable and the price was very reasonable. I will definitely be returning here. Thanks!” – Rachel F.
“Made me feel like I was very special . Very comfortable relaxing place.” -Lisa A. “First visit to the salon and we were glad we gave it shot. My son had appointment with David and he was phenomenal and we’ll definitely return to see him. Overall very nice salon.” – Nicolas J. “Very nice experience. This stylist was recommended by my daughter and she took the time to understand what color and haircut style that I was looking for. I will definitely return!” – Jeanne V.
“Kate was attentive and professional, listened to my concerns and delivered incredible results. I had an amazing experience and will be back soon!” – Lauren E.
“Had a wonderfull experience at this salon, my hair dresser Oksana was so kind and talented and gave me a brand new look that I love. Staff was very friendly and accommodating.I highly recommend.”- Elizabeth B. “I went in to get highlights done. It was the first time that I was getting highlights, so I was a little nervous about how it would turn out. Oksana did an amazing job! I love the way it came out.” – Ela C.
“Had an overall great experience! Never been to such a clean and friendly salon.” -Kelsey S.
“Beautiful space, great service and a great cut. It was my first time there and I made a follow up appointment.” – Samantha S.
“This salon is top notch and not wildly overpriced! Their facility makes you feel like you are at a very high end salon yet the prices are reasonable. The staff are great and very friendly.” – Tammie J. “Great haircut and very nice people.” – Erin M.
“This place is well maintained and has a friendly staff. My hairdresser’s name is Caitlyn and she definitely is of professional quality. She knows what hair products will work best give my hairstyle and hair characteristics. She is very friendly and always has a smile on her face which is a pleasant thing to see as a customer. I will definitely be a returning customer to this salon” -Manny G.
“Clean, beautiful salon, and professional service!” – Carolyn S.
“It was my first time at the salon. Marissa was awesome! Loved my cut.” -Katie C.
“My first time at Sculptures. I had my hair colored by Lindsay and I was more than satisfied. She matched my hair perfectly to my base color. She styled my hair beautifully too! Super happy with my visit.” -Maureen S.
“Love my stylist, David! Love the atmosphere, and all of the staff are very friendly. Easy to get to, easy to park and was available to accommodate me being a walk in.” -Jodylynn T.
“Love the way my hair came out and the stylist (Tracy) that cut my hair was very nice and I had a great experience. Everyone was so night right when you walk through the door they great you with smiles.” – Shana S.
“I got airbrush make-up done and it was great! They did exactly what I wanted by looking at my pictures.” – Nicole M.
“Lindsay was great. She took the time to really personalize your experience. Salon was comfortable, modern, and clean.” – Tracey A. “First time at the salon today. The building itself is beautiful and the salon is clean and up to date. Kate was great! Listened to what I was looking to do, added her professional opinion and went to work. The outcome was exactly what I was looking for. Happy is an understatement. Everyone was professional, friendly and kind. I appreciate that. Thank you I will be back without a doubt.” – Anna M.
“Caitlyn was wonderful and welcoming! She made me look and feel beautiful!” -Arianna A. “Great experience at my first appointment with Kate! I will definitely be back!” -Kristin S.
“Just a wonderful experience!! Kristin just seemed to understand what type of cut I wanted!!!! Wonderful atmosphere, friendly yet extremely professional! Oh and great hair care products!” – Joann G.
“Oksana did a wonderful job! I’m so happy with my highlights and the haircut! Made a big change but I am so happy I did! Thank you!” – Jessica C.
“I was extremely apprehensive in going back to a salon because of several past bad experiences. When I entered your salon and spoke to the hosts I felt welcomed and calmed my nerves. Because of my doubts to set an appointment; you offered me a consultation with one of your stylists. I could not have been more at ease after speaking with her. I have to admit I was nervous but I let her do her job and made me feel calm by talking me though what she was doing. I am so happy with the results. It’s obvious she knew what she was doing. So thank you! And I just found my place.” – Linda B. “Sharon is amazing. She is my stylist, so when my 5-year-old daughter told me that she wanted to do Locks Of Love, I called Sharon right away. Such a special (and BIG!) haircut required someone who would do a great job and make it a special experience. Sharon made her feel like a hero and gave her a wonderful bob cut. She is a new, little client for life.” – Melissa H.
“This was my first visit to the salon, everyone was very helpful and friendly. Kaitlin T. did a great job, I’ll definitely be back soon!” – Andrea C.
“Love my new hair! Gianni took the time to walk me through options based on my hair texture, then he worked his magic. I’m thrilled with this cut & color!”- Amy G.
“Sara is the best! This was my first time getting highlights and Sara made sure I was not nervous. The salon was beautiful and everyone was friendly!” -Corinna V.
“I needed a last minute trim and made an appointment with Kate. From the moment I entered, I was greeted warmly and felt welcome, even though it was my first time there. Kate did a great job on my hair (first haircut since letting my hair grow back after shaving it for a year). I left feeling confident and great about my cut. Thank you Kate! I’ll be back soon for sure.” – Bill Z. “Love everything about Sculptures! From the moment you walk in, you are greeted and made to feel welcomed. Everyone is very professional and super friendly. TRACY IS THE BEST! I have really long hair and she was able to style it exactly how I like it. I was ready to walk the red carpet. I continuously get compliments after Tracy does my hair. Not only is she a great stylist but has a bubbly personality and I have a great time talking to her! On a scale of 1-10 Sculptures gets a 12!!!! Thank you for making me look beautiful Tracy!” – Michele W.
“As a first time client, I decided to try Sculptures and did a walk in on a Saturday morning. They took me right away! Rick cut my hair and did exactly what I had described to him. I was very pleased. The price was even less than other places I frequented, without the results. I will be going back in the future.” – Penny R.
“The salon is absolutely beautiful. The staff is incredibly professional and polite. And on top of it all…David did an amazing job transforming my mess up from another salon into a work of art. I am unbelievably happy and will be a loyal customer from this moment on. Thank you for such a great experience.” -Melissa T.
“I called Sculptures after being put on a wait list at another salon. I was in a hurry and they were able to fit me in right away. Not only was the salon gorgeous and clean, but the staff were friendly, accommodating and professional. As for my trim, a minimal amount of my hair was cut off, it didn’t look shorter but it DID look healthier than ever! !” -Natalie W.
“I love the way my hair looks and feels. This was my first time at Sculptures and meeting Marissa who came highly recommended. I had been with my previous hairdresser for years and years and was a little afraid to start with someone new. I can’t tell you how happy I am and how much I love my new highlights. I feel like a new person. Thank you Marissa.” -Terri R.
“Great experience! Front desk staff was very friendly. Love my haircut from Kaitlin T.” – Amie C.
“Place is awesome! Friendly staff! Can’t beat it, just love the atmosphere. This is my new hair salon.” -Tim S.
“I had a wonderful experience today. Kaitlin T. was experienced and gave me great ideas and suggestions. Can’t wait for my next appointment.” -Rose C.
“Beautiful salon! David and the whole staff is amazing. Thank you for all you do!” – Megan W.
“Beautiful salon and a great cut and color with Stefanie.” -Bethany M.